Today’s generation of kids have been plugged in for as long as they can remember, from television to learning devices, internet access to video games. And while sometimes technology seems to have an overwhelming role in our lives and that of our kids, finding the right types of games, apps, and programming turns that technology into an integral part of imaginative play and learning. And for little girls who love doll houses, the new My Doll House Game in the Google Play store hits all of these notes perfectly. The free-to-download app takes a classic childhood favorite of fixing up a dolls house and brings it into the 21st century. 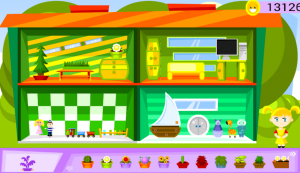 Each doll house, of which there are numerous castles and houses to choose from, include living rooms, bedrooms, kitchens, and bathrooms, and each space’s decorations are entirely up to the user. You can add furniture, add toys and decorations, and even incorporate live plants. 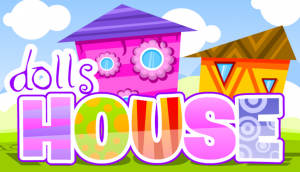 The app features hundreds of different items and ideas so that girls can truly make their doll house their own. When it comes to kids’ games, this one really delivers on encouraging imagination and creativity, taking a classic childhood pastime and giving it just the right amount of technological edge to spark the interest of modern kids. There is no shooting, nor are there tedious hours of clicking the same button or overly-droning music, all of which tend to turn a child’s brain off rather than on. With this app, you unleash your child’s inner creativity, and can rest assured that she’s expanding her artistic side every time she opens up the doll house game.